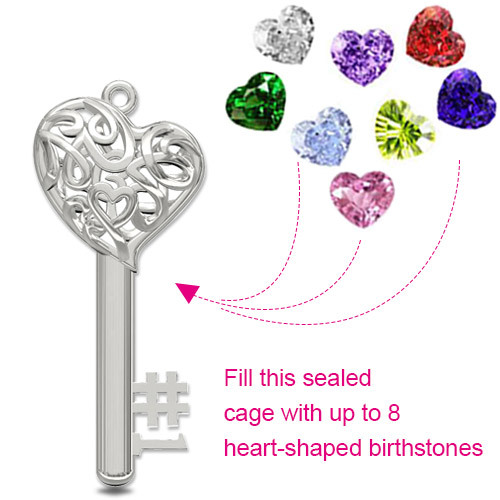 No.1 MOM Heart Cage Key Necklace, you can add 1-8 birthstone into the heart cage,It represent a family get together and deep love. Is an excellent gift for the mother. 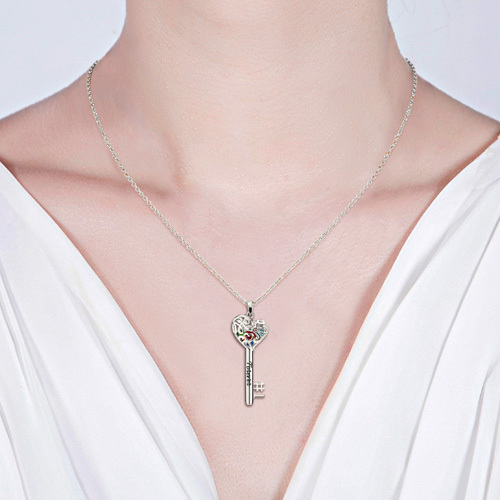 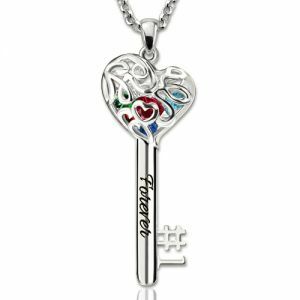 The shape of the keys can symbolize opening someone's heart and can also be used to give the person you like.